Home > News > Need training in professional funeral skills? Need training in professional funeral skills? 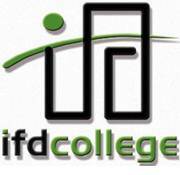 The Independent Funeral Directors’ College has announced the new schedule for training from February to June 2019. The courses include Health & Safety for Funeral Professionals, Foundation Funeral Practitioner, Funeral Operative and Funeral Administrator. They are being held around the country from Glasgow to Taunton, including Shiremoor (near Newcastle upon Tyne), Hull, Anstey (Leicestershire) and SAIF Business Centre in Sawbridgeworth, Hertfordshire.